Spend a Memorable Evening Celebrating Christmas! Blog Spend a Memorable Evening Celebrating Christmas! 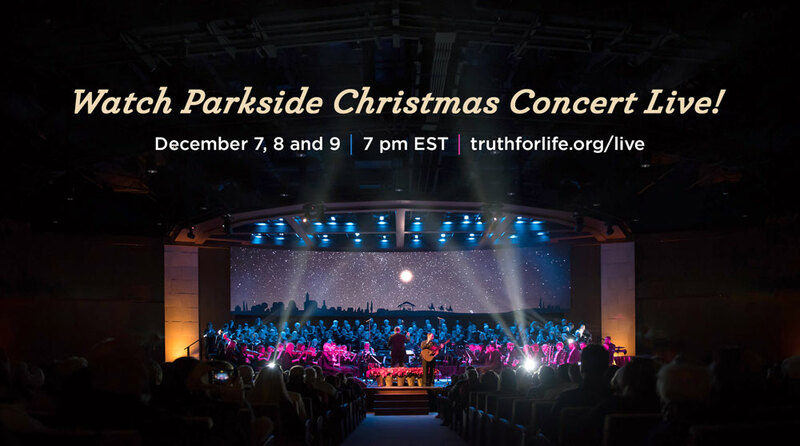 You're cordially invited to join Alistair Begg for the annual Parkside Church Christmas Concert via live stream! Spend an unforgettable evening diving deep into the miracle of Christ’s birth at an event featuring the spectacular sounds of the Parkside Church Christmas orchestra, the Parkside Church choir, and special-guest vocalists. Reflect on the greatest story ever told through beautiful music, moving meditations, and a heartfelt message from Alistair. An annual tradition at Parkside Church, this memorable event is one you won’t want to miss! Light a fire, invite some friends, and watch full-screen on your smart TV! All three evening performances of the concert will be streamed live. You can also view on Truth For Life’s ROKU or YouTube channel or Truth For Life’s Facebook page.